I have been unsuccessfully looking for a great Omega-3 fish oil supplement for some time now, but everything I've tried has been pretty icky. Or expensive, or just . . . icky. I like fish, but fish oil is just horrendously gross, and not something I care to have in my mouth at any given time. But the benefits to fish oil supplements make it worth the ick, so I've continuously suffered for my health. Most people fail to consume enough Omega-3s, and it's not produced by your body. - Great for your heart. Studies have shown that eating fish or taking a fish oil supplement decreases your chances of having a heart attack. - Gets the fat out of your blood. They help prevent the fat build up in your arteries. - Brain and eye health. Specifically in children. We don't produce Omega 3s naturally, so you have to consume it to give it to your children in the womb, as well as in breastmilk. If you don't eat fish once a week you aren't getting this vital nutrient. 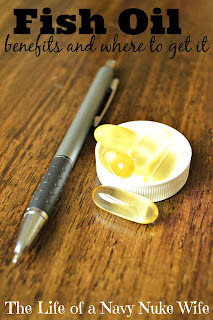 - Pretty much everything else that your body needs to do, fish oil helps get it done. 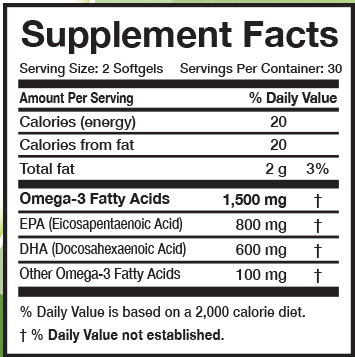 Enter Quality Encapsulations: Omega-3 Fish Oil. I have to say I'm a big fan. There's no fishy taste. There's no fishy burps. They don't stick together in the bottle (meaning they are not leaking) and they're easy to swallow and soft. AND THEY ARE MADE IN AMERICA. Each bottle is a one month supply. I feel more alert and ready for my two babies after taking this pill in the morning, and I can't recommend it enough! So where can you find this gem of awesome? I received this product free of charge in exchange for my honest review. All view are my own. Thanks for reading! I have been searching for some Fish Oil tablets that are not as big as horse pills, and based on your other suggestions I just may give these a try. Thanks for sharing. I think they're all huge, because you need so much and no one ever gets enough. But they're slightly more compact I think? They seem to go down just fine though, and I used to have a terrible time with pills! Great information! I will definitely have to consider incorporating this into my lifestyle. I've been hearing a lot of conflicting information recently about whether to take supplements. I'm out of the habit but i think there are a few things I need to start taking again and this is one of them!